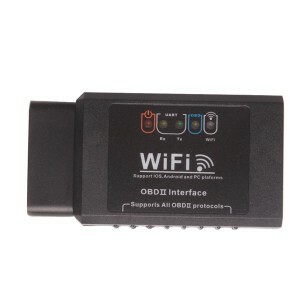 ELM327 WIFI OBD2 scanner is the latest PC-based scan tool. ELM327 WIFI supports all OBD-II protocols and is dispatched with a number of compatible programs. The output protocol (connection to laptop) is USB cable.It is easy to use and very useful to diagnose cars. It use ELM327 software. 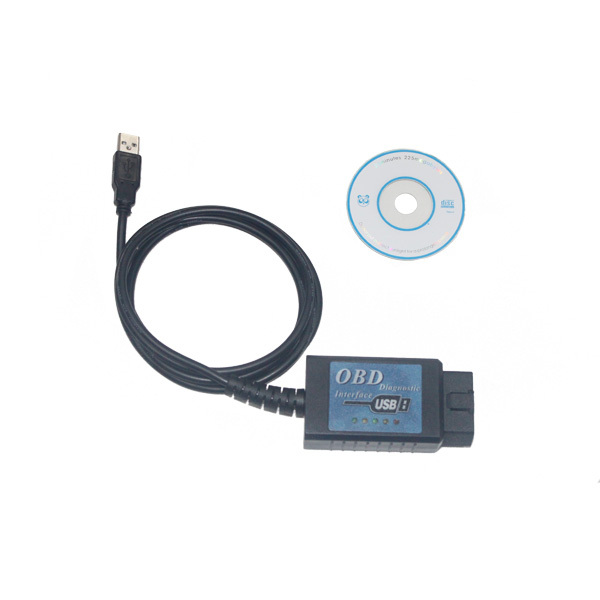 USB ELM327 V1.4 OBDII scanner does all of the hard work of protocol translation into a simple ASCII character based view.ELM327 V1.4 is used as an interface to connect virtually all OBD-II compliant vehicles to a PC for on-board diagnostics (OBD) Via the included serial cable. Such vehicles are VW, Audi, Seat, Skoda, Opel, Vauxhall, Alfa, Mercedes, Smart, Renault, BMW, Peugeot, Citroen, Lotus, Ford, Rover, Aston Martin, Ferrari, etc. USB ELM327 V1.4 supports 9 protocols in all – SAE J1850 PWM, SAE J1850 VPW, ISO 9141-2 and ISO 14230-4 as well as CAN Bus ISO 15765-4. 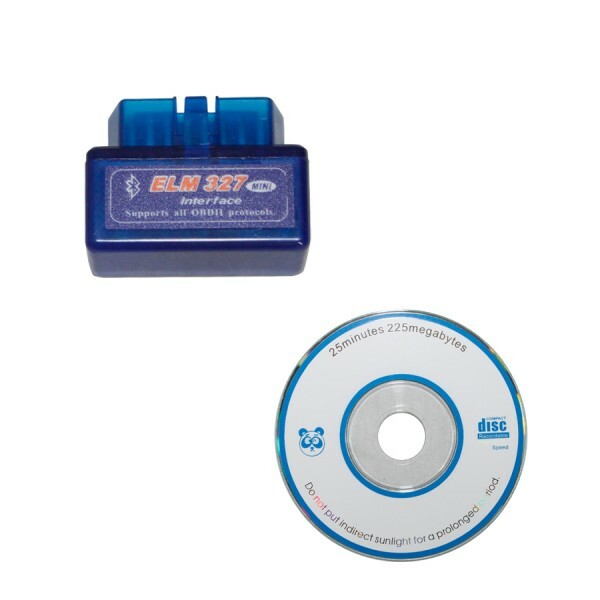 Precision-moulded diagnostic connector made to fit all VW/Audi vehicles, even those with “tight” trim around diagnostic socket. Voltage input monitors your vehicle’s battery.